The kitchen is the great gathering spot for family and friends. When looking to create a space that is unique, visit the ProSource® of Austin showroom to find a spectacular array of cabinets, cabinet hardware, countertops, faucets and sinks. Meet our team of dedicated specialists to make your kitchen remodel easier than ever. 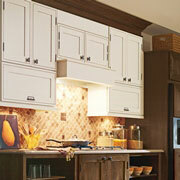 Kitchen cabinets do more than just store dishes and small appliances. They bring together the visual harmony of the room. Because the kitchen is one of the most used spaces in the home, you’ll want kitchen cabinetry that is not only functional, but fashionable as well. Consider all possibilities including color, shape and size. You can make cabinets come to life with beautiful new cabinet hardware. We offer knobs, handles, and pulls in a myriad of materials and finishes that make kitchen cabinets stand out, while being more accessible. 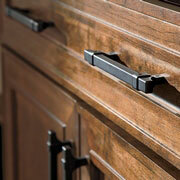 See the selection of high-quality, wholesale cabinet hardware at our ProSource showroom. The best homemade meals all start in the same place: the kitchen counter. 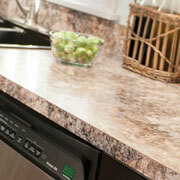 Hardworking kitchens deserve durable, beautiful countertops. At ProSource of Austin, you will find a striking assortment of granite, quartz, and natural stone countertops… perfect for kitchen islands as well. When you’re throwing out everything to start a new kitchen remodel, you’ll want to start by putting in a new kitchen sink. At ProSource, we have single, double, and triple-basin sinks that can meet the demands of even the most ambitious home chefs. 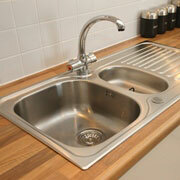 The best kitchen faucets emphasize form and function to create stylish and practical fixtures for the kitchen sink. 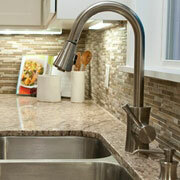 Enjoy luxury features like heated taps, and put filling spouts on a new kitchen faucet.